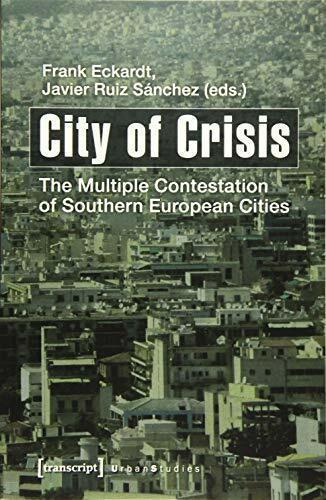 The on-going crisis in Europe has dramatic impact on the life in many Southern European cities: Unemployment, social deprivation, poverty, political instability, severe cuts in the welfare state budgets and a wide spread feeling of despair have eroded much of the social foundation of the cities. In this book, contributors from Spain, Greece, Portugal and Italy provide an insight into the complex interference between the different aspects of the crisis. They show that the recent urban crisis is not purely a result of the budgetary problems of the nation state ("austerity urbanism") but needs to be seen as multiple contestations. It is therefore regarded in connection to the conditions of a changing nation state, cultural diversity, challenged urban planning and politics and a globalised economy. Frank Eckardt (PhD) holds a professorship for urban studies and social research at the Bauhaus-University Weimar, Germany. Alvarro Buitrago Sevilla (PhD) is an associate Professor of Town and Regional Planning at the Universidad Politecnica de Madrid, Spain. Javier Ruiz Sanchez (PhD) is a professor for urban planning at the Universidad Politecnica de Madrid, Spain.